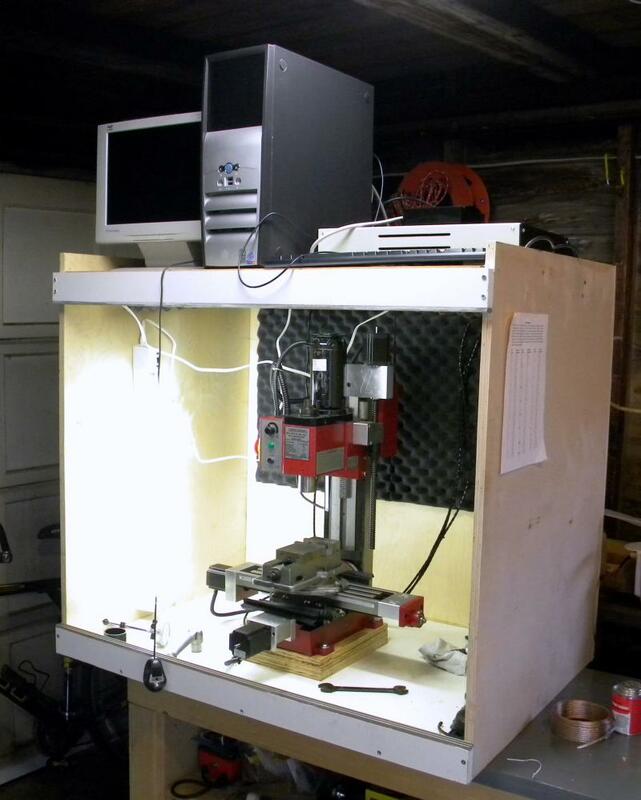 Does the world need another CNC tutorial? I thought I’d try writing a more personal post and see if anyone is interested in what I have to say. I also wanted to see if it would be any easier to write. When I sit down to write for this blog the words often don’t want to come out, even though I can write fairly quickly and easily for work or forums and discussion groups. I think it might be because of a mild form of stage fright. I also feel that I haven’t found “my voice” yet, probably because I still haven’t decided if I want this to be a somewhat impersonal “how-to” web site or a much more personal online journal. I know I haven’t posted any new content in almost three weeks. Over the last year I’ve been pretty good about meeting my self-imposed goal of posting, on the average, at least one new article each week. But I’ve been really busy with spring yard work, home repairs and family activities. I’ve also been trying to spend what little free time I’ve had in my workshop because I’ve been inspired by David Morrow and his web site to finally learn how to use the CNC mini-mill I bought last Fall. Learn how to use Mach 3, the software that controls my mill. Find a good affordable CAM program and learn how to use it. Find and learn some new ways of holding the work piece. Shop for engraving bits and some new end mills. Practice by milling lots of pink foam. I also had to decide what would be a good first project to make, which was harder than you might think. I’ve spent dozens of hours in front of my computer playing with the software, searching the net, reading, watching videos and asking questions. The reading and research phase is starting to wind down and I’m glad. Sitting in front of a computer and figuring out things is what I do for a living and I was reluctant to spend even more time doing it at home. It’s one of the reasons why it has taken me so long to learn how to use the new mill. It probably would have been much easier if I’d been able to find a tutorial written for CNC newbies with step-by-step instructions describing how to make your first part. But there either isn’t one or it’s well hidden. I’d like to write one but I’m not qualified yet, other than maybe having a pretty good understanding of the problems and questions a beginner might have. Would anyone be willing to collaborate on one? I don’t know if we have enough readers yet with CNC experience, but I’d love to be involved in a group effort similar to the one “black85vette” got started on the Home Model Engine Machinist forum. They worked together to design an easy-to-make steam engine with a well-written set of instructions for teaching basic machining skills to beginners. Let me know if you’re interested. Some help putting words down on paper would be nice, but so would suggestions, feedback and a willingness to help answer questions. The first steps might be developing an outline and coming up with a good first project to make. If you aren’t willing to work for it, don’t complain about not having it.